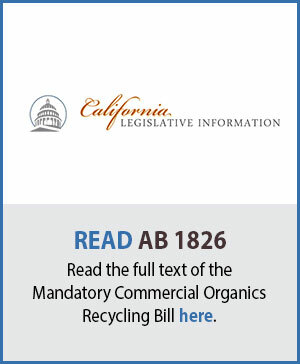 There are two important laws that impact multifamily complexes in California: There are two important laws that impact multifamily complexes in California: AB 1826 the Mandatory Commercial Organics Recycling Bill and AB 341 Mandatory Commercial Recycling Bill. These bills are aimed at helping the state reach its diversion goals and to keep resources out of the landfill. MSS can work with your business to find the most economical way to become compliant under the law. 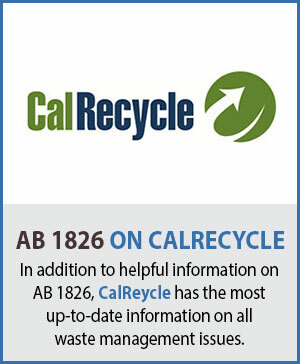 Assembly Bill 1826 requires California businesses, including public entities, and multifamily complexes of five (5) units or more to recycle their organic waste depending on the amount of waste they generate per week. The requirements are slightly different for businesses and multifamily complexes. 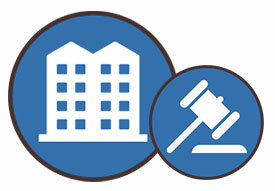 If you are looking for information about multifamily dwelling requirements, visit our Commercial Legislation page. January 1, 2017: Multifamily residential dwellings that consist of five (5) or more units that generate four (4) cubic yards of non-food organic waste (green waste, landscape and pruning waste and nonhazardous wood waste) per week shall arrange for organic waste recycling services. January 1, 2019: Multifamily residential dwellings that consist of five (5) or more units that generate four (4) cubic yards or more of commercial solid waste per week shall arrange for organic waste recycling services. Our goal is to ensure our multfamily dwelling customers have the information, tools, resources and support to reach the highest level of diversion potential that is practical, best suits your individual needs, and results in contaminant free material. In other words — we want you to be successful organic recyclers! Marin Sanitary Service multifamily dwelling customers enjoy a basic bundled service package that includes garbage, recycling, and compostables (organic waste as required by AB 1826) collection services for one low rate.  When the property management office (or tenant) sets up service, a customer support representative will work with you to find the most economical way to become compliant under the law. Multifamily dwelling customers who meet the threshold of AB 1826 will be contacted by our compostables programs coordinators to arrange for a site visit to perform a complete walk-through and identify opportunities for greater waste reduction and diversion. 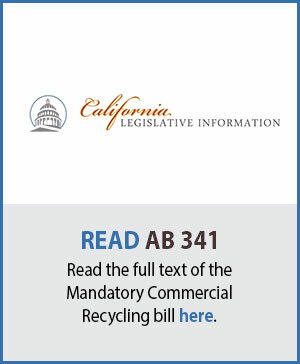 In 2012, California adopted AB 341 the Mandatory Commercial Recycling Measure to enhance systems that capture recyclable materials from the commercial sector. AB 341 focuses on reducing greenhouse gas emissions by diverting commercial solid waste to recycling efforts. A property owner of a multifamily residential dwelling may require tenants to source separate their recyclable materials to aid in compliance with this section. Marin Sanitary Service multifamily dwelling customers enjoy a basic bundled service package that includes garbage, recycling, (as required by AB 341), and compostables collection services for one low rate. 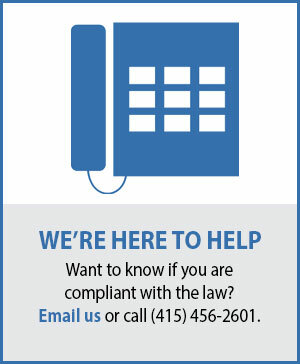 When the property management office (or tenant) sets up service, a customer support representative will work with you to find the most economical way to become compliant under the law. Multifamily dwelling customers who meet the threshold of AB 341 will be contacted by our recycling programs coordinators to arrange for a site visit to perform a complete walk-through and identify opportunities for greater waste reduction and diversion.